On Episode 64 ot the Hockey Strength Podcast, we are joined by Scott Caulfield, head coach at the NSCA and the man behind the NSCA's Training for Hockey Clinic. Who will be presenting at this year's clinc? How did this clinic come to be? Listen in, and enjoy finding out about the speakers and topics. When you are ready to book your trip, head to https://www.nsca.com/hockey2018/ and book your spot. Early bird pricing is good until May 24th, but book soon because there is a very real capacity in the conference room at NSCA Headquarters. When it comes to monitoring, data collection, and using data to drive and suport decisions when training hockey players, Roethlingshoefer (with Anaheim Ducks affilliate, San Diego Gulls) and McConnell (UMass Lowell) are 2 of the best. Now they have come together to co-author a newly released book called Intent: A Practical Approach to Applied Sport Science for Athletic Development. It's an essential users guide for any coach looking to use data and other information to help them make decisions about training, nutrition, sleep, and recovery. After you listen to this episode (or before, if you want to have a really good background of what we're talking about, you can read before) pick up a copy of the book here! Pick one up today and make yourself a better coach! On today's episode, I sit down with Dr Tiffany Jones of X-Factor Performance and talk about the importance of improving connection with and the mental skills of your athletes. If you'd like to learn more about Dr Jones' work, head to xfactorperformance.com/ and check it out. Also mentioned in the show (a few times!) is athleteassessments.com/. Head there and see what they have to offer, from guides to DISC profiles. Today on Episode 61 of the Hockey Strength Podcast, Darryl Nelson and I sit down for an in-person chat. Darryl is the strength coach of the National Team Development Program and co-owner of Hockeystrengthandconditioning.com. Thanksgiving break for the NTDP? What do they STOP doing in the weight room in-season? It's always fun to talk shop with Darryl, hope you enjoy the conversation. On Episode 60 of the Hockey Strength Podcast, we are excited to chat with Colin Shields of the Belfast Giants. Not a lot of x's and o's in this episode, but lots of valuable info for anyone working with pros, or looking to build their own business. On this episode of the Hockey Strength Podcast I speak with Scotty Livingston, former NHL Strength coach and now owner of Premier Performance in Montreal, Quebec Canada. We catch up with Scotty about his presentation, Harnessing the Power of Breathing, at this summer's Perform Better Summit in Chicago. We also talk about the evolution of the NHL Strength Coach, and get his thoughts on where the profession will be in 10 years. On the 58th episode of the Hockey Strength Podcast, Mike Boyle joins us to talk about on-ice conditioning, consistency in training, BU in the old days, creating buy-in, and what it takes to be in the NHL. Find out the crucial pieces of the motivation puzzle, some barriers that affect your ability to motivate, and how to battle burnout with our guest, Sport Psychologist of the Flint Firebirds, Mike Stacey. BU Hockey's Director of Analyitics joins us to talk about a different side of the analytics game. These days we focus so much on the use of HR and GPS data that we might forget that there are other parts of the game that can be quantified using something as simple as a game tape. Find out what Kathryn is teasing out to give the Terriers that 1% edge. 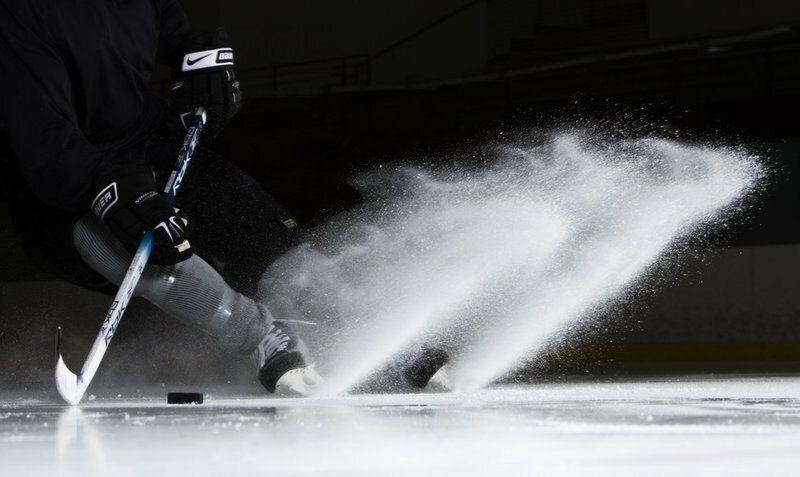 On this episode of the Hockey Strength Podcast, we talk to Joe Sawicki, Director of Sports Medicine at Shattuck-St Mary's School in Fairbault, MN. We talk about the emphasis of the U14 training program at the school that saw helped to develop players like Sidney Crosby, Jonathan Towes, Jack Johnson, and Nathan MacKinnon.